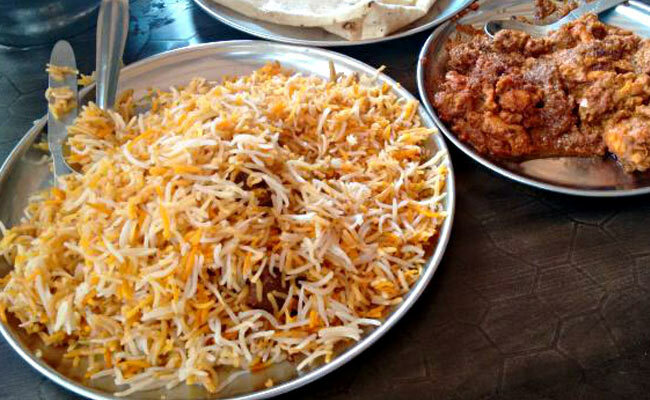 India’s beef ban politics has taken a turn for the bizarre with Haryana police have started collecting samples of Biryani sold in Mewat district, the states only Muslim dominated district. The biryani checks are taking place days ahead of Eid festival. The biryani checks have taken many by surprise asking whether the police should be focusing on other crimes in the state which sees the second largest number of complaints to the police. The chief of the Haryana Cow Welfare Commission, Bhani Ram Mangla, visited Mewat on Tuesday and instructed the police to make sure no beef biryani is sold. “The police have been directed to collect samples of biryani from villages where it is being sold and check which meat has been used to prepare it,” said Bharti Arora, a police officer in the special task force for cow protection. Police claim to have found beef in the biriyani they have been collecting over the past few days. The samples were tested in a a government lab in Hisar. The Polit Bureau of the CPI(M) in a statement strongly condemned the move by the Haryana government to collect samples of Biriyani in the Mewat area of the state in the run-up to the Bakri-Id festival. The statement said “this move is allegedly intended to find whether the samples contain beef. Even at the time of enactment of Cow Protection and Conservation Act in the state, the Party had protested against it as it could be misused to terrorise a religious minority and polarize the society. It is important to note that the minority population in Haryana is extremely small and is concentrated in the Mewat area. It is amply clear that RSS/BJP actually has no concern for the protection of the cow and its progeny. In Goa, the Party defends the right of the people to consume beef. In the North East, it is in favour of beef consumption. But in Haryana, clearly, this is being used to terrorise and sharpen communal polarisation with clear political and electoral considerations. Several State Governments and Union Territories (UTs) have enacted cattle preservation laws in one form or the other. Arunachal Pradesh, Kerala, Meghalaya, Mizoram, Nagaland, Tripura and Lakshadweep have no legislation. All other states/UTs have enacted legislation to prevent the slaughter of cow and its progeny. In Haryana, cow protection laws are among the toughest. The punishment for cow slaughter is 10 years in jail and for trading in beef, a person can be jailed for five years. In December last year a migrant worker from Uttar Pradesh was shot dead by ‘cow protection vigilante’ team. Haryana Chief Minister Manohar Lal Khattar recently said in an interview that “Muslims can continue to live in this country, but they will have to give up eating beef” because “the cow is an article of faith here”. On 28 September 2015, a mob lynched a 50-year-old man, Mohammed Akhlaq, over the rumours of eating and storing beef. The Muslim man’s killing led to a massive outrage across the country. The Haryana government is directing all its police and minister’s to check for the beef in biryani while heinous crimes are taking place in the state. The state had no answer to jat atrocities during their agitation when they looked shops and raped women. No one was arrested or charges filed. The misplaced priorities of the state are deplorable.